That is true. 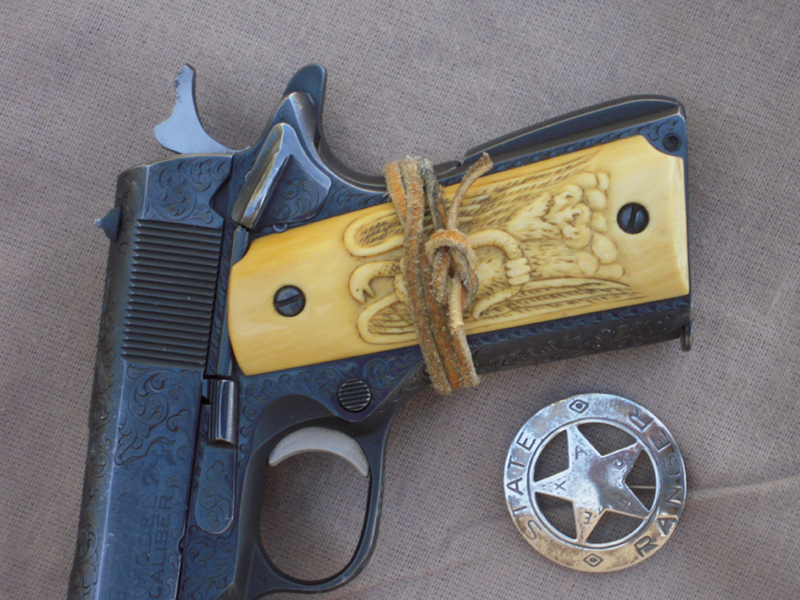 However, the Colt Monitor was never offered for sale to the public. It was sold primarily to the FBI. When other law enforcement agencies decided they wanted one, they were sold, I presume on a first come, first served basis. I believe I saw where they would ship one to a gun store, but only for someone who had already placed an order to pick up. OD*, Tstone, Rock and Glock and 1 others like this. I haven't read through all the posts but I'm pretty sure has mentioned my biggest gripe. Give me a break, these seasoned lawmen consistently move about and just stick their guns down their pants. Baloney! It would be interesting to know. 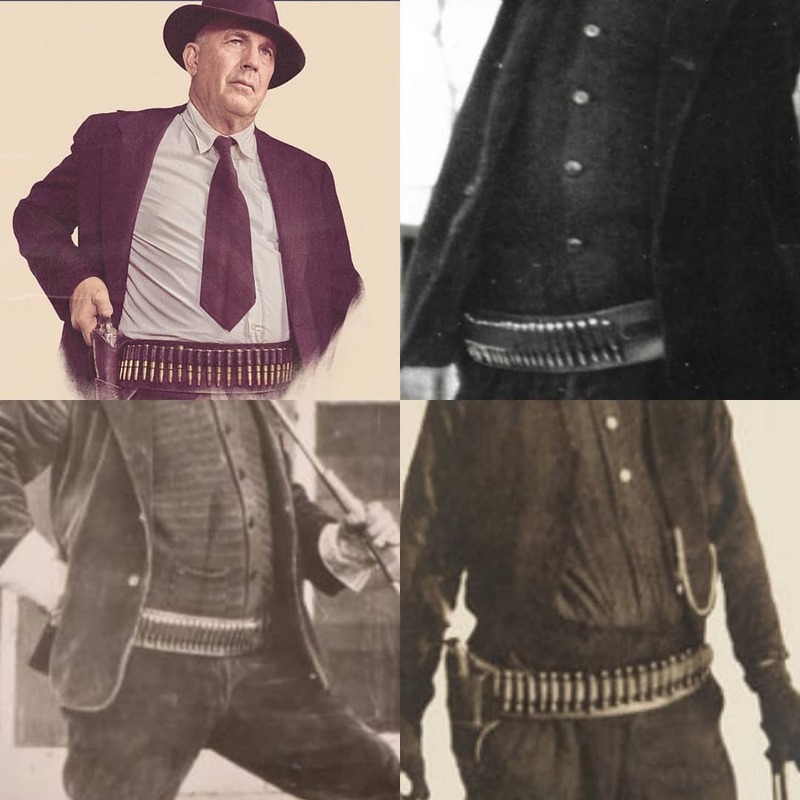 I have been researching since I first read "I am Frank Hamer" as to what sorts of holsters he an Maney may have used while in street clothes, as of yet, I have found no reference to anything. OldChap, entertainment72, Tstone and 1 others like this. OldChap, OD*, Tstone and 1 others like this. The one they show I know he carried with a gun belt, but in none of the pictures I have seen is he wearing any kind of holster with his suit. OldChap, Tstone and Rock and Glock like this. When I grew up in the early 1950's I don't remember seeing too many holsters - certainly nothing like we have today. There were belt holsters and shoulder holsters. I even saw a few military flap-lid holsters. In fact, that military holster is all I saw for a 1911 until maybe the late 50's early 60's. Holsters were all hand built back then and I don't ever remember seeing anything like a "concealment" holster. Pockets were much bigger then, coat and pants...and shoulder holsters were the LEO rage. Wonder what old Frank would have said to a Level XYZ "security" holster? That's not a true gunbelt...it's a rifle cartridge belt...being used as a gunbelt...tells you what he may have preferred to have plenty of ammo for, don't it. That picture sure looks like Lee Marvin...and Kevin Costner...is that Hamer? I know with the 1911, rubber bans & leather thongs were fairly popular holsters. Tstone, Rock and Glock and OldChap like this. Look through these pictures, you will find every one of the four. Trust me, I would not post a picture of Frank Hamer knowing it wasn't Frank Hamer. Tstone and Rock and Glock like this. Lotta folks cursed that grip safety...paid to have it pinned...never knew ONE time it caused a problem. I think it's a great idea, liked it on the OLD Browning .380...great for a pocket gun. Pockets back then were made stronger, too, and could have easily carried a 1911 or .45 revolver. They weren't as "sophisticated" as modern folks seem to be. OD*, Rock and Glock and OldChap like this. Who four? I was lookin' at the belts, and glanced at the face and thought it looked like Lee Marvin...done since looked it up to see it's Costner...who got OLD. No, I didn't think the old man on the mountain was giving us bad G2...not at all. I meant the four pictures used, that I posted. They can all be found, the one of Costner, the other three are of Frank. Snub44, Rock and Glock and OldChap like this. With only one face amongst 'em...I didn't think of that. Rock and Glock and OldChap like this. 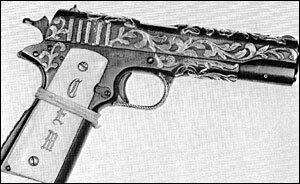 Thongs and rubber bands were two fold, depressed the grip safety, and made the 1911 more secure carrying Mexican. I've seen it done with revolvers too.